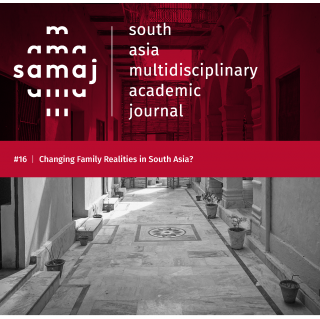 This special issue of the SAMAJ-EASAS seeks to understand the South Asian family in contemporary times, both in its presence and absence, its control and contestation, and its potential to adapt as well as its resilience. The family as an institution garners much attention in the contemporary South Asian world, raising questions about its continued resilience and forms of change and adaptation. With forces of modernization, advancement of youth cultures, greater participation of women in the work force, and migration, the centrality of the family in the everyday lives and experiences of individuals is queried and piques interest. The four papers in this special issue deal with distinct aspects of realities and representations of the family in India and Bangladesh. 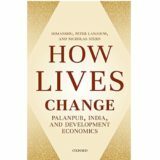 These papers can be read against the background of three main themes, which, though not exhaustive, we believe form an essential analytical and thematic framework within which to understand the family in contemporary South Asia: the individual-family-community nexus; gender roles and agency; and technology and media. Situated in the context of these three themes, the papers herein explain that the family and the idea of the family exist in multiple forms in contemporary South Asia. The aim of this special issue then is to trace the ways in which the family realigns itself with social developments by adapting to certain changes and also undertaking strategies to maintain its central position in sites and situations of change.